VintageVixen.com Vintage Clothing Blog: Giving Thanks To You! 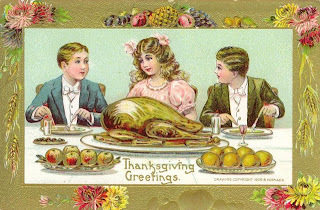 We at VintageVixen.com have so much to be thankful for, most of all our wonderful (and wonderfully stylish) customers! April, Michelle, Shane, Lynne and Darien want to wish you and yours a very Happy Thankgiving.